1. Are you always happy with your FO’s? 2. Are you sometimes so disappointed that you frog everything and start a new project? Why? Color? 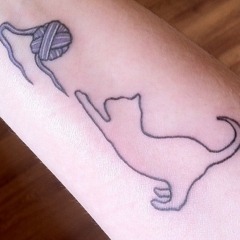 Yarn? Making? Too small? Too large? 3. Do you wear your knits or do they end up at the bottom of a cupboard? If so, why? How do they age after being washed and worn? 5. Finally, would you rather work with some yarns you know well rather than others to avoid bad surprises? 1. Definitely not, I’m sad to admit. Most of the time I’m happy, but I’ve only been knitting “seriously” for about 2 years, so there is still a lot to learn. However my success rate is steadily improving, I’m happy to report. 2. Despite my answer to #1, I rarely frog everything. I’ll rip back a little if I notice a problem or mistake, but I stick with pretty much every project. In cases where something has turned out to be too big when it’s finished, I’d rather alter it with steeks or something than frog. Now, who would I like to see answer these questions? It looks like 5 is what we’re supposed to pick. Hmmm. Lynn, Ilana, Canadianchia, Kathleen, and Lee please! This entry was tagged knit-tag, knitters. Bookmark the permalink.